A dematerialized or demat account is a facility that allows investors to hold shares in an electronic format. This is similar to a bank account, where you keep your money. In this case, a demat account holds the certificates of your financial instruments like shares, bonds, government securities, mutual funds and exchange traded funds (ETFs). You need a demat account before you start to trade on India’s stock exchanges. 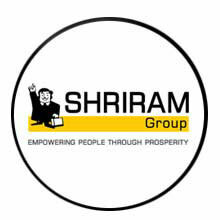 At Shriram Insight, you can open both demat as well as trading accounts either independently or at the same time. This is called a two-in-one account. Since all your certificates are electronic, transactions are less cumbersome. You never have to deal with the physical documents and the related paperwork. When you trade shares or other financial instruments, there is no need to actually hand over certificates to the buyer or seller. Dealing in physical securities involves a lot of additional costs such as handling expenses, stamp duty as well as for safety. These are very hard to determine beforehand. All these are eliminated when maintaining a demat account. Also, all costs are detailed in advance. Since we are dealing in the electronic format, delivery is completed within a few days. Earlier, this used to take weeks, if not months. This means transactions become seamless and inexpensive. When you are dealing with physical copies of certificates, there are many risks involved like fake securities, bad delivery, incomplete paperwork, or simple destruction of the paper or ink. In the demat form, certificates last longer and you eliminate these risks.